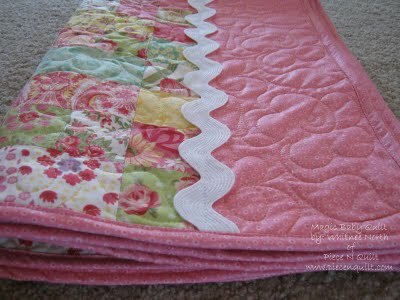 The Magic Baby Quilt design by Whitnee North of Piece N Quilt makes excellent use of Jelly Roll strips and will be a delightful project for any quilter! The original design features a Jelly Roll that Moda no longer sells. Click here to browse alternatives currently sold by Moda. Finished Size: 41" x 50.5"